Putting an intriguing spin on classic topics such as the properties of matter, chemical reactions, genetic and epigenetic inheritance, physical changes, and periodic tables, these academies prepare professional learning providers to lead the “Matter” and "Genes & Traits" courses with teachers at their site. 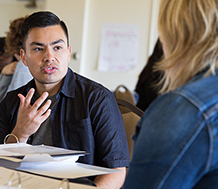 Explore ways to integrate California Department of Education publications and initiatives into early childhood education/child development college coursework. 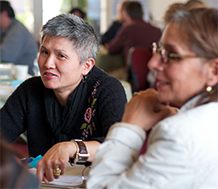 This one-day seminar will focus on the Family Partnerships and Culture publication, the companion Faculty Initiative Project Instructional Guide, and provides opportunities for faculty to dialogue with colleagues. 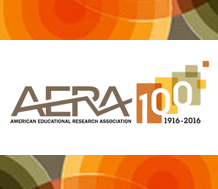 The American Educational Research Association Annual Meeting provides an annual forum for researchers to explore and discuss the latest research.